If your property is within our area of coverage, contact us now for a quote! C & M Cleaning, Cleaners covering Ashford and entire Kent area. We will arrange a booking with you and our operative will arrive at the appointed time, pre-check then clean as per your requirements. Competitive rates, professional service, fully insured – you really have nothing to lose, ‘Contact C & M Cleaning’ today and you will not be disappointed. Telephone contact details can be found on the contact page, or if you prefer you could use the enquiry form to make your initial enquiry. Thank You, the C&M Team. 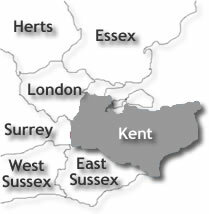 Covering the whole of Kent!